As 2010 arrived and began to unfold, my uncertainty as to whether or not I might ever record again weighed heavily on my thoughts each and every day. After all, I really had not recorded in the studio since "BORROWED TIME" and that was back in 2007. The joyful release of the double-live CD "THE SUITCASE" in 2008 was a miracle that gave the impression that I had 'recorded' but, of course, the truth was that this recording came from a May, 1994 concert while touring in Europe. For me, with each release there came the renewed hope that perhaps one of them would make the difference, and I could return to some form of touring that would be realistic and possible. Needless to say, that never happened. There's not much point in bemoaning the national economic woes, the global economy, nor the constant terrorist acts, and near acts, that throw the airline industry into a panic, and make air travel for musicians a worse nightmare than ever before. The solutions to these pressing issues are way out of our hands as individuals. Time keeps passing, and nothing really changes for the better. Experience teaches us that things will surely change for the better, but when that might happen? No one can tell us this with any degree of certainty. How does one work their way out of such a dark tunnel, and motivate oneself to make something happen? For me, there was certainly no one simple answer. In truth, it was the first time that I can recall in my musical life where I had no idea what I would like to do, even if I knew that I could record! What a strange feeling that was for me. I had always been able to visualize what was 'next' for me, even if it was uncertain as to how and when it would happen. Seeing the future keeps one motivated and always in pursuit of something positive. But, I couldn't see anything, I couldn't hear anything from within, and time was passing relentlessly. Then, suddenly, out of the cosmos, I received an e-mail via the CONTACT STEVE page at this very website, and within a couple of weeks, everything changed from within. That particular message came from an old love of mine, and our time together dated back to 1981. Yes, that was almost 30 years ago! But, in all the time that had passed in between, we really never lost total contact, and the ability to communicate openly was always there, just as it had been from the beginning. We had some catching-up to do, a lot of it, because the last time we spoke, she was engaged to be married. Of course, I sent her all the recent CDs, and I suppose it was her reaction to what I had been doing in recent years that somehow inspired me to finally exit the dark tunnel, and the next thing I knew, I was practicing like crazy, and finishing some pieces of music that I had been carrying around with me for years. I still lacked a fixed vision of exactly what the concept would be of any new recording, IF I was even able to do that. My initial thought was that I would continue down the path that produced both "THE GREEN FIELD" and "BORROWED TIME." Meaning that there would be a mixture of Jazz trio or quartet playing, and then, there would be some tunes with Latin percussion added. I thought that I would try something different and try to play with some of the wonderful young acoustic bassists and drummers that I had been listening to, but, when I learned that one of my good friends and respected colleagues had formed a quartet with the exact two players that I had in mind, I felt that this was enough of a 'sign' from the cosmos that I should let that idea go, and I did! After further thought, I realized that, the truth is that I am virtually the only guitarist who is deeply involved with Latin Jazz, and I should just go in that direction, but this time, really do it all the way. And so, as I worked at the music, and began to put it all together, suddenly, as if out of nowhere, I had 9 pieces of music close to ready to go. I could not believe it! On the road to assembling all the music, I suddenly remember the two remaining tunes that I never had the chance to record with the Caribbean Jazz Project before deciding to leave the group in 2002. Those tunes were "Zancudoville" and "Los Gaiteros" both deeply rooted in my wonderful experiences in Venezuela between 1999 and 2002. With those tunes now included, I had 11 tunes in all, and I felt ready to pick-up the phone, and to try to make this actually happen. I contacted Jill Dell'Abate to be my production coordinator and, lucky for me, she agreed to do it. From the beginning, there were only 5 players that I had in mind for this. I didn't even want to think about the possibility of what I might have to do if one or more of these players had a conflict and could not be part of the project. Those players were: Anthony Jackson(Contrabass Guitar); Dennis Chambers(Drums); Manolo Badrena(Percussion & Voice); Marc Quiñones(Timbal) and Bobby Allende(Conga). I knew that I could not record "Zancudoville" effectively without keyboard, and so, Rob Mounsey would be a part of this as well. As the music took shape, 4 of the 11 tunes would have brief vocal or vocalese sections, I decided that I would make every possible effort to see if I could get Gracinha Leporace, the great Brasilian singer, who is also the wife of Sergio Méndes, and the 'voice' of his music for decades, to participate. Sadly, I was never able to make that happen. Though I have mentioned these recordings often here at the website and in various interviews over the years, 3 of my favorite Latin Jazz recordings have always been "SOUL BURST"(Verve) by Cal Tjader from 1966, and featuring a young pianist named, Chick Corea; "THE LATIN BIT"(Blue Note) by guitarist, Grant Green from 1962, which featured Willie Bobo; and "INVENTIONS AND DIMENSIONS"(Blue Note) by Herbie Hancock from 1963, and also the great Willie Bobo on drums and timbal. Though the latter recording is not strictly a Latin Jazz effort, all the pieces incorporate Latin rhythms in one form or another. But, the remarkable aspect that ties these recordings together is the fact that NOWHERE on any of them is there a single cowbell to be heard. Not the cha-cha bell; not the Salsa/Mambo bell; and not the campana or bongo bell. And, the only tune on 3 recordings that presents cáscara or paila(when the timbalero plays on the shells of the timbal) is on Trk. of the Cal Tjader recording, Chick Corea's own composition, "Oran." But that's it!!! And no güiro too? How could any true Latin Jazz recording not offer these essential sounds? Another Latin Jazz recording that affected me greatly was "CHILE CON SOUL"(Pacific Jazz) by the Jazz Crusaders from 1965, and featuring arrangements by the great Clare Fischer. On this recording, yes, we get all the traditional sounds that one would expect to hear. For me, and what was to become "PARTING SHOT" or, as it is called by the Spanish title of my own creation, "Golpe de Partida" would try to embrace combining of the looseness and freedom of exploration without time limits of the Eyewitness recordings, while still trying to be faithful to the all-important clave and a wide variety of Latin rhythms. Could this marriage of styles possibly be achieved? After just two rehearsals, two days before, on Saturday, December 6th with everyone assembled at Avatar Studios, Studio 'A' and James Farber behind the console, we were ready to begin. Well before the rehearsals, I had come to feel that recording "Change Agent" first would be the best plan. It's a relatively simple cha-cha-cha, and I felt that we could get through it without too many problems. I suppose that we did. Looking back, this performance was very organic, and came to represent a great blend of the Eyewitness kind of music-making, mood and attitude and the fantastic rhythms supplied by Marc and Bobby. Since 1994 and the "CROSSINGS" recording, I have felt that that recording was my most beautiful sounding one - if only from an audio perspective. I say this with no disrespect meant for all the other recordings. I quickly learned that even with the same engineer, and the wonderful facility that Avatar is, and has been, it is not the same as Skyline Studios, the 6th floor, and above all, WE are not the same as we were 16 years ago!!! The other factor is that "CROSSINGS" only featured the four of us. So, adding Marc and Bobby, though adding so much to the music, does complicate the sonic space available to best represent the instruments, and everyone playing them. It is never an easy task, and there are never any 'perfect' mixes - not to those of us who participate! As the recording unfolded, and I began to reflect on just what we had done, it was so strange for me to realize that there were going to be 3 tunes under 5-minutes in length. I can't ever recall a recording of mine have such a thing happen. How could that have transpired? Ironically, this occurred on "Chronology"; "Bye-ya"; and "Blues Connotation" and I was absolutely expecting that those tunes would amongst the longer ones. Thinking back on the events of the recording, during these tunes when we would discuss the approach or format for the Introductions or the percussion solos to be included, it always seemed like Bobby or Marc would lobby for a 'less is more' concept. And what should have been, in my mind, an 'open' section became 16-bars, and this is what you now hear. 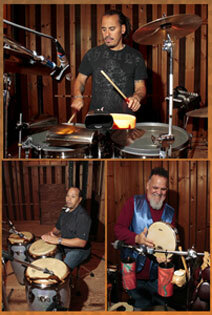 One has to remember that Marc Quiñones and Bobby Allende are two of the most important percussionists in Latin music, New York style, for decades now. They have recorded and performed with all the great soneros in the genre and formed an essential part of virtually all of Sergio George's productions which brought fame and fortune to artists like Marc Anthony and India. So, most great Salsa tunes are all under 5-minutes and certainly no more that 5-1/2 minutes, so the instinct is to keep things compact, concise, and to the point. My instinct? Well, it's always to try to push the boundaries and venture off into the unexpected, even if the band encounters a moment of uncertainty. For me, this is all worth the risk factor. In many ways, because my own emotional exhaustion during this recording, I just didn't possess the strength to argue about these things and so, I let them go. At this point, all I can say is that perhaps there will be, in the end, a hidden benefit to this development because most people can't listen to anything beyond the 5-minute mark!!! Back in 1983 when Anthony, Manolo, Steve Jordan and I were developing the music for what was to become "CASA LOCO," the title track became a musical odyssey that embraced Latin music, Jazz Fusion, with long solos and one of the great drum solos ever recorded. This kind of extended song form because a model for four of the tunes we would later record in 1989 on "PUBLIC ACCESS." Honestly, I didn't ever believe that we would ever again record such a piece of music because it's just too difficult to find the time to put it all together. And that process requires a great deal of time and effort from Manolo because he is so essential to it all. But, as the tune "Some Assembly Required" was being developed for the demo stage, I began to realize that something was missing, a melodic element was missing and that I was going to need Manolo to create a couple of his unique chants to pull it all together. And so, on an afternoon here in my apartment, what was once "Some Assembly Required" became "María Mulambo." I had always thought that one could take James Brown's "Doin' It to Death" groove and combine it with Afro-Cuban 6/8, and create an amazing mixture. Well, now we have that plus Manolo singing in Brazilian Portuguese. That's quite a stew to digest, but, that's what happened. And, it seems to be one of the most well-received tracks on the CD. The other extended song form piece on this recording follows "María Mulambo" in the sequence and is titled, "Influence Peddler." In addition to what a longtime fan might expect, I was thrilled to be able to introduce the wonderful voices of Tatiana Parra(Brazil) and Andrés Beeuwsaert(Argentina). Together they added a magical element to the vocalese sections. Though the full story is a bit long for this space. 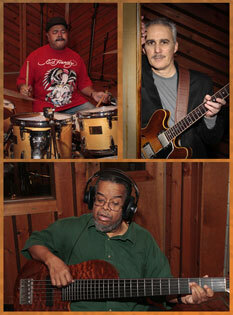 You can read all about it via my PERSONAL REFLECTIONS which were graciously published at the allaboutjazz.com website. I hope that you will enjoy reading about all the songs there. As it always should be, I am simply so very grateful for the musical and personal contributions from: Anthony; Dennis; Manolo; and Marc & Bobby, the core group for the recording. Then there are the immense contributions made by Rob Mounsey! I am also so very grateful that both Tatiana Parra and Andrés Beeuwsaert agreed to lend their voices to "Influence Peddler." Finally, for his Herculean efforts to craft the overall sound of the recording, I'm so thankful that I had James Farber by my side to serve as the sonic/audiophile voice of reason. Any recording should always be a team effort, but this one was really just that and the contributions that everyone made can never, in my eyes, be minimized!!! As you now know, this CD is titled "PARTING SHOT"(Golpe de Partida), and with each passing day, the phrase has more and more meaning for me. In our culture, we often use the expression: "a parting shot." If I combined the various standard definitions of this expression, they might be: "the last word; a final comment, a threat, insult, condemnation, or sarcastic retort before departing." And perhaps, closest to my thoughts would be: "a hostile remark or gesture delivered while departing." Sometimes as two participants in an animated 'discussion' are pulled apart from one another, sometimes, after all the words, one person throws a light 'punch' aimed at the shoulder, and that becomes his 'parting shot.' But, in one form or another, it becomes a manner of saying, "Goodbye!" With each of these last three studio produced recordings, when they concluded, there was always the thought that it could well be my last recording. Short of some miracle, and I don't believe in them, I don't see how there's any way that I can bear this financial burden ever again. So, for me, this is probably it. A statement of reality, but one that can be faced with a warm smile knowing that I tried my absolute best to always do my best possible work. Is it that? Of course not. Trying your best does not always make it so. However, the fantastic reaction to this recording thus far has been very gratifying. In the end, people just hear the music, they do not hear "the process." On a secondary level, I chose a particular Michel Granger image for the U.S./European cover, because "our planet" remains in grave danger, and, for quite some time now, it has been firing 'parting shots' at us, its inhabitants, and we just don't seem to be listening carefully enough. The other Granger image, which appears on the Japanese cover, is titled "S.O.S." and offers the image of a 'message in a bottle' with the planet serving as 'the message.' This is a far more obvious way to express the meaning of this rather obvious cry for help!!!! And now, given the recent events in that great country, it serves as a far more ominous reminder of what is truly at stake! So, if there is a significance, a personal meaning to the title, then it is perhaps to be found on these two levels.